Violinist Nicholas Tavani was born in Arlington, VA, and debuted in Washington, D.C.’s Gaston Hall at the age of eight. The Cleveland Plain Dealer recently praised him as “ an alert and sensitive artist, with beautiful tone and exquisite phrasing,” and the Washington Post has hailed his “brilliant musicianship.” As a chamber musician, recitalist, and concerto soloist, Mr. Tavani has performed extensively to critical acclaim in the United States and around the world. As first violinist of the Aeolus Quartet, he was a winner of the 2011 Plowman International Chamber Music Competition, the 2011 Yellow Springs Chamber Music competition, and the 2009 Coleman International Chamber Music Competition. He is also a laureate of the Postacchini and Kingsville International Violin Competitions. Mr. Tavani serves as first violinist in the Aeolus Quartet, who are currently Artists in Residence at Musica Viva New York. In addition, he serves as concertmaster of the New Orchestra of Washington and is a member of the Mark Morris Dance Group Music Ensemble and the Smithsonian Chamber Players. A passionate advocate of new music, Mr. Tavani has premiered and recorded several works by living composers, including Samuel Adler, Alexandra Bryant, Christopher Theofanidis, Missy Mazzoli, and Dan Visconti. His discography includes four albums with the Aeolus Quartet in wide release on the Azica, Naxos, and Innova labels. Performances with orchestra include the Aspen Festival Orchestra, Prince William Symphony, New Orchestra of Washington, Little River Symphony, Masterworks Festival Orchestra, Austin Chamber Music Festival Orchestra, CIM Chamber Orchestra, and many others. Collaborations include Renee Fleming, Peter Salaff, Jon Kimura Parker, Daxun Zhang, and Michael Tree. Mr. Tavani’s current season includes recital and concerto performances across the US, extensive touring across the US with the Aeolus Quartet, and solo performances with the Mark Morris Dance Group and Spectrum Dance Theater. In addition, he will serve as concertmaster for the Artosphere Festival Orchestra and the Mozaic Festival Orchestra. As a committed educator, Mr. Tavani has served on the faculties of the George Washington University School of Music, Point CounterPoint Music Festival, the MasterWorks Festival, and the University of Maryland High School Music Academy. He served as teaching assistant to the Juilliard Quartet at the Juilliard School, where he studied with Joseph Lin and Ronald Copes, and the Aeolus Quartet was 2013-2015 Graduate Quartet in Residence. Mr. Tavani is currently completing his doctoral work under the mentorship of David Salness at the University of Maryland. An alumnus of the Cleveland Institute of Music, Nicholas studied violin with William Preucil and chamber music with Peter Salaff and the Cavani Quartet. 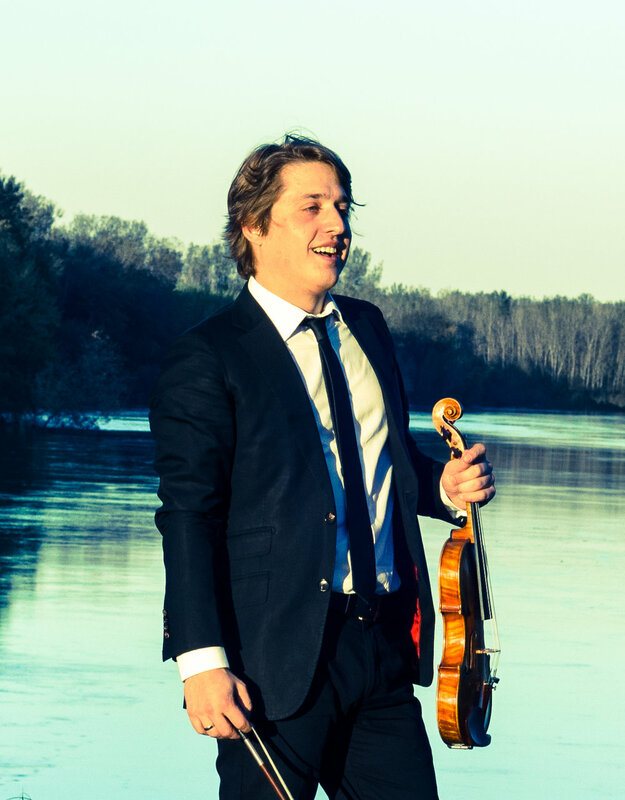 In addition to a Bachelor of Music in Violin Performance from CIM, Nicholas also studied mathematical physics at Case Western Reserve University.